High Discharge pumps are self priming & acting on regenerative principle. The periphery of the impeller has many blades for adding energy to the fluid being pumped. As the fluid flows from inlet to outlet the fluid pressure increases progressively ensuring a non - pulsating high discharge & high pressure fluid flow. These pumps are designed for continuous operation handling only clear liquid, free from any suspended particles. High Head & High Discharge. Continuous heavy duty externally ventilated induction motor. Shielded ball bearings are lubricated for life. Quiet & maintenance free running. 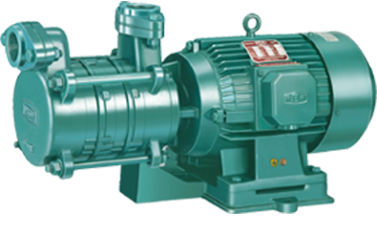 PEW is one and only manufacturers in India amongst all other high discharge pumps manufacturers with this expansive range of pumps.